Dental Assistants Vs. Dental Hygienists: What’s The Difference? Both dental assistants and dental hygienists are key contributors at dental practices. But dental assistants and dental hygienists have different roles and aren’t interchangeable. This might be confusing for those who are considering employment at a dental practice and aren’t sure whether they want to be a dental assistant or hygienist. That said, consider the following differences between dental assistants and dental hygienists so you can feel more confident in your choice of career. 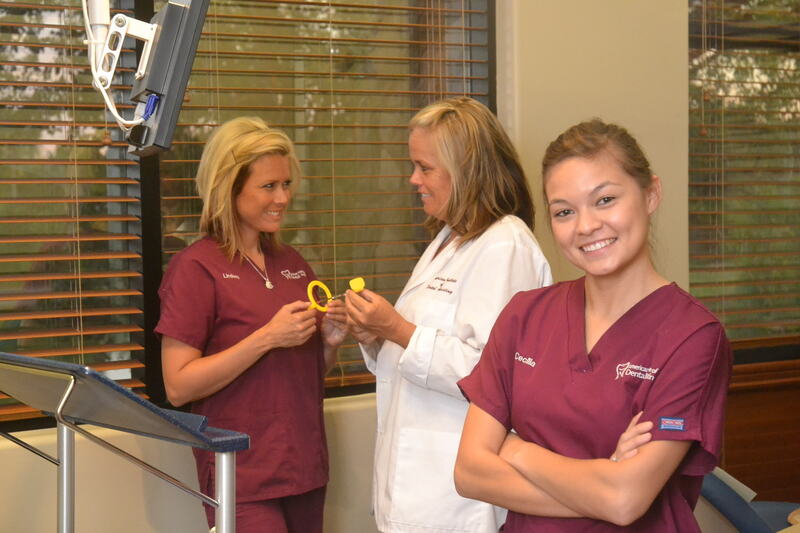 Dental assistants help to perform technical tasks and provide oral care to patients. 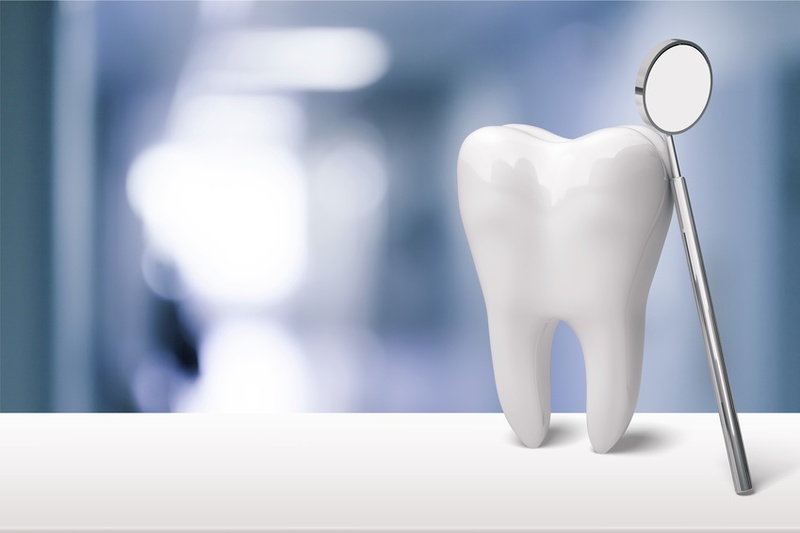 They assist the dentist by taking X-rays, recordkeeping, and scheduling appointments. Depending on the offices in which they work, a dental assistant may assistant a dentist during procedures, take a patient’s blood pressure or pulse, and sterilize dental equipment. Dental assistants also help to ensure patients are comfortable before, during, and after their treatment. While dental assistants perform preparatory tasks and break-down duties in the office, dental hygienists perform more advanced tasks that involve direct patient care. Dental hygienists polish and clean patients’ teeth, remove soft and hard deposits from patients’ teeth, use several tools to remove plaque and tartar, and develop X-ray film. How do the two careers differ when it comes to education? Some states require dental assistants to be licensed while others require aspiring dental assistants to complete certificate or diploma programs. Certificate programs typically last for a year. Employment opportunities for dental assistants are expected to increase by 18% by 2024. Aspiring dental hygienists require an associate’s degree in dental hygiene, which often takes three year’s to complete. 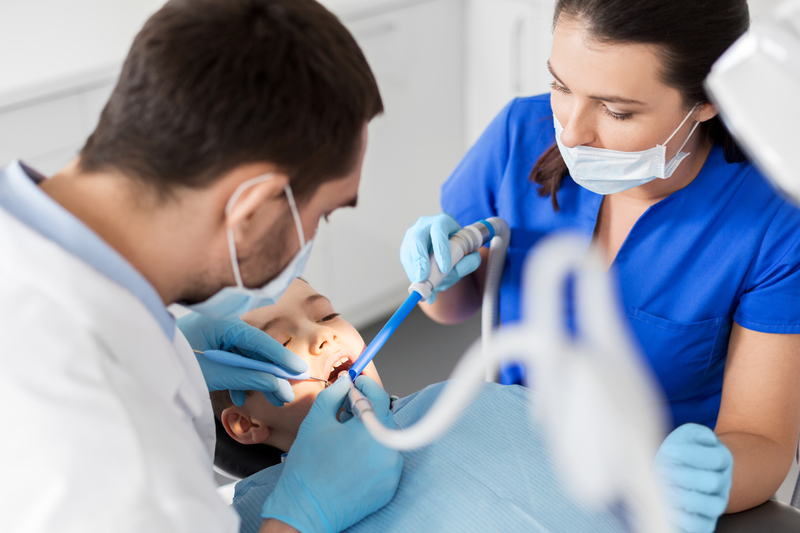 Certain states may have licensing requirements, but often aspiring dental hygienists need to pass an accredited training program with additional examinations. 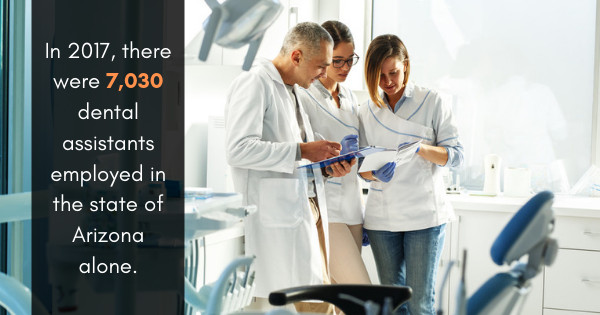 Employment opportunities for dental hygienists are exposed to increase by 19% by 2024. 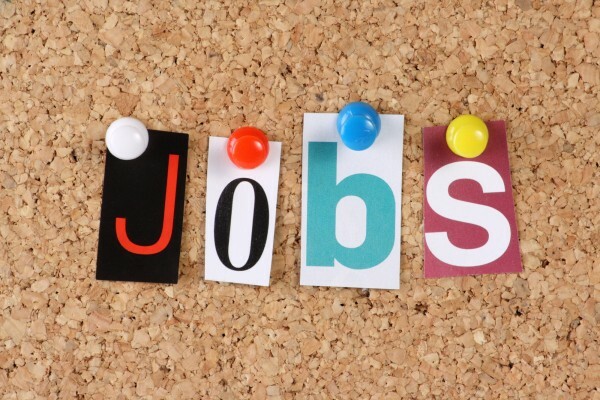 Are you considering employment at a dental practice? 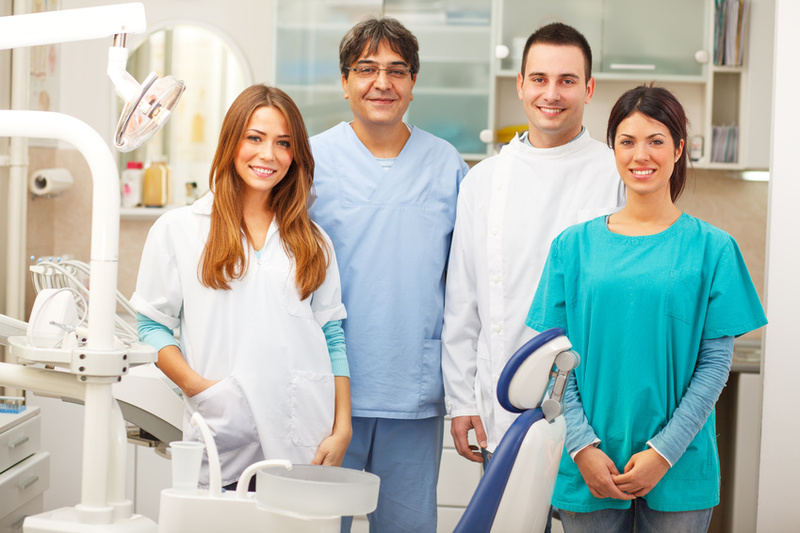 If you’re considering employment at a dental practice, you’re not alone. According to a survey, up to 70% of dental assistants who hold a DANB’s CDA certification received a raise in their current position. The Dental Assistant School at the American Institute of Dental Assisting offers real-world experience and practical dental assistant training to get you off on the right foot. To learn more about our dental assistant training courses and live clinic training, contact the Dental Assistant School at the American Institute of Dental Assisting today. If you’re considering a career in the dental industry, you’ll have several options to choose from. But what exactly differentiates these professional paths? In today’s post, we’ll be talking about two positions that are often mistaken for each other: dental assistants and dental hygienists. 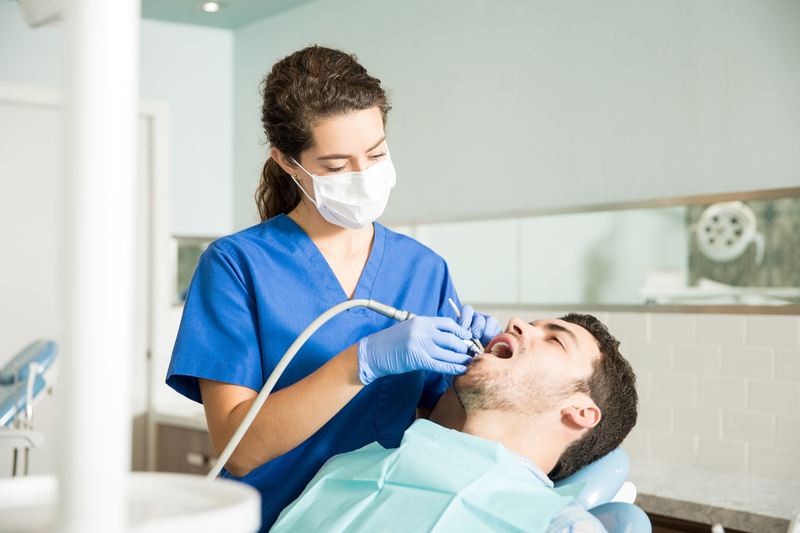 Although both dental assistants and dental hygienists enjoy employment at a dental practice, the two jobs entail very different qualifications and daily obligations. With the knowledge you’ll obtain here, you can make a more informed decision about what kind of career might be best for you. Variety of Duties: In 2017, there were 7,030 dental assistants employed in the state of Arizona alone. One reason why this career path is so appealing is the opportunity it provides to handle a variety of job duties. While dental hygienists may also handle some prep or even administrative obligations, dental assistants get more of a chance to get involved in several different aspects of a dental practice. You’ll get a chance to interact with patients during every phase of their visit, prepare and sterilize equipment, take X-rays and teeth impressions, and perform basic office management tasks. You’ll get a taste of everything, which is ideal for those who want to build a variety of skills and can’t see themselves in a mundane field. Rapid Education: Although both dental assistants and dental hygienists need to complete some kind of dental school education, there’s a noticeable difference in how quickly you can transform your dental assistant training courses into real on-the-job experiences. When you undergo practical dental assistant training, much of it will be on-site. Rather than having to spend years in a dental school classroom, you’ll have the opportunity to apply what you’ve learned and become accustomed to what being part of this industry is really like. Not only can this allow you to move up more quickly in the ranks, but it can also allow you to make a living from your chosen career path far sooner. In-Depth Duties: Dental hygienists may sometimes be tasked with certain administrative duties, but the bulk of their responsibilities will lie in patient treatment. 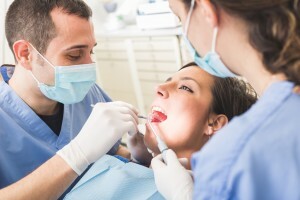 A dental hygienist will typically be tasked with more in-depth tasks, such as removing plaque from a patient’s teeth or even administering local anesthetics. If you’re more interested in detailed medical duties rather than learning about a variety of jobs within the office, you may want to consider going to dental school to become a hygienist. Longer Commitment: As we mentioned above, becoming a dental hygienist requires a more advanced degree. Therefore, you’ll need to spend far longer in dental school prior to being able to work in the field. That can be seen as a benefit by some people, depending on their career goals. But you can’t expect to learn how to become a dental hygienist in a matter of weeks or months. You’ll typically need to spend at least two years on education alone, which can be a financial burden and a colossal time commitment. If your aim is to get real-world experience and start working as soon as possible, you won’t be able to achieve those goals if you’re set on becoming a dental hygienist. Ultimately, there’s no right or wrong answer here. Both dental assistants and dental hygienists have a positive job outlook and can provide both career satisfaction and financial security. But understanding the key differences between these two occupations can allow you to make the correct decision for your future. To learn more about enrolling in school to become a dental assistant, please contact us today. What is a Dental Assistant vs Dental Hygienist? Have you been to the dentist recently? The American Dental Association recommends that people visit the dentist frequently. These visits should be individualized by your dentist. Some people may need to be seen by their dentist yearly. Others may benefit from 6 months or less. An individualized approach is best when it comes to oral health. At your last dental visit you may have noticed several people busy around the office. There was probably a receptionist and, of course, a dentist. But there were also a few others that helped out during your visit; a dental assistant and a dental hygienist. 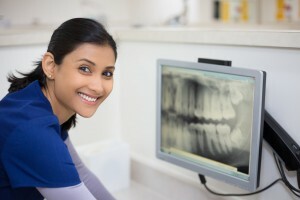 So what is a dental assistant vs dental hygienist? Let’s take a closer look. Dental assistants and dental hygienists have a few things in common. They both work closely with a dentist. They both help care for peoples teeth. They also help educate patients about oral health. They may appear similar, but there are actually many differences. A dental assistants main job is to assist the dentist. They can also help with a variety of office jobs. The main job of a dental hygienist is to clean teeth. They work directly with the patient while an assistant works more closely with the dentist. Let’s take an even closer look at a dental assistant vs dental hygienist. A dental assistant can have many jobs in the office. Their work often starts before you even enter the office. A dental assistant will prepare the room before you arrive. This includes sterilizing all dental instruments and laying them out for the dentist. They are usually the first person to greet you once you are seated in a chair. They will take and develop x-rays before you see the dentist. They can also take impressions. During your appointment they will assist the dentist and pass instruments to him. The assistant will also prepare anesthetics, cement, and impression materials. The dental assistant can also help maintain dental records and patient health history. At the end of your appointment they can help with front office tasks like scheduling appointments and taking payments. Even after you have left the office a dental assistant is still busy. They will clean the room and prepare it for the next patient. They will also prepare any lab work and can help order dental supplies. In some states dental assistants can have advanced duties such as applying sealants and fluoride, topical anesthetic and coronal polishing. A dental assistants work is never done. They are always busy doing the many jobs it takes to keep a dental office running. 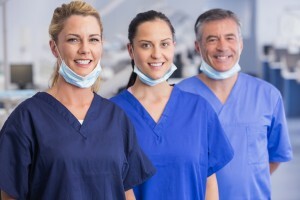 The responsibilities of a dental assistant vs dental hygienist are actually very different. While the dental assistant can have many jobs around the office, the dental hygienist has one main job. They focus on cleaning your teeth. A dental hygienist works one-on-one with you during a teeth cleaning. First they will review your dental and medical history. They will perform an exam of your mouth. Then they will work to clean your teeth. There are many techniques that can be used to clean teeth. They will use one or more of these to remove any deposits from your teeth. They will also clean off any plaque or tartar that has developed. Then they will polish and floss your teeth. Finally they will apply any fluoride treatments that are needed. Once your cleaning is finished the dentist will come in for his exam and evaluation. Each person in a dental office has an important job. Dental assistants can help out the dentist and office wherever it is needed, while a dental hygienist focuses mainly on cleaning the patients teeth. Schooling for a dental hygienist can be lengthy while a dental assistants schooling is much shorter. The American Institute of Dental Assisting offers a unique, hands on experience. In just 13 weeks you can be fully trained to be a dental assistant. Check out what students love about our school! 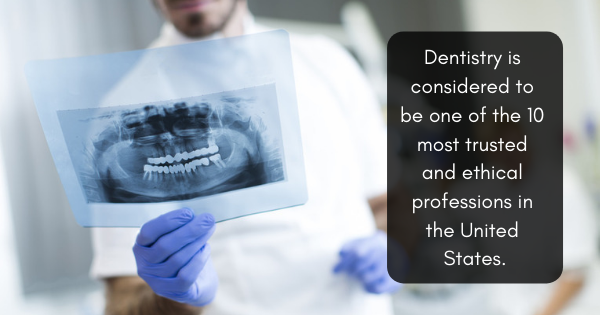 Dentistry is considered to be one of the 10 most trusted and ethical professions in the United States. It’s no wonder that the dental industry is so appealing to people from all walks of life. But you may not have considered the fact that you don’t have to hold a DDS to be part of this sector. In fact, becoming a dental assistant can be an incredibly rewarding and fascinating way to help others and pursue your passions. Let’s take a closer look at three reasons why you might want to consider becoming a dental assistant. One of the great things about attending dental school to pursue a career as a dental assistant is the amount of flexibility you’ll have. Dental assistants can find employment at a dental practice, of course, but they’re also required by specialists like oral surgeons, orthodontists, endodontists, and more. Plus, everyone needs a dentist — which means that you will be able to find work wherever you go. Whether you remain in your hometown or want to relocate clear across the country, you’ll have the skills, knowledge, and real-world experience to find gainful employment in your field. It’s also important to note that you may benefit from having more flexible job hours and will be given a variety of responsibilities in your position. Not only will you provide the dentist or specialist with assistance during procedures, but you can also provide information and emotional support to patients who might not feel comfortable speaking to their dentist (or have an opportunity to do so). You’ll also take on some administrative tasks, which can be a great way to break up the day. Because of this, you’ll likely feel more fulfilled in your job and will be less likely to burn out due to monotony and high levels of stress. Another great thing about becoming a dental assistant is the opportunity to learn in different ways. Some people choose to attend a formal dental college, while others opt for hands-on dental training on the job. You may even experience some of each. This means that no matter your preferred learning style, you’ll be able to obtain the education you need to be successful in your field. It also means you don’t necessarily need to spend years obtaining an advanced degree before getting to work. Rather, you’ll make a commitment to lifelong learning without shying away from experiences outside the classroom. Whether you choose to pursue hands-on dental training or attend college classes, you’ll be entering a field that’s poised for growth. According to the U.S. Bureau of Labor Statistics, the occupational outlook for dental assistants is expected to grow by 19% from 2016 to 2016 — a rate much faster than average. The demand for preventative health services is predicted to keep increasing as more research emerges on the importance of oral health. And because we’re living longer, the need for ongoing dental care will likely increase. Dental practices will continue to expand, which means dental assistants will always be needed. So by pursuing educational courses and hands-on dental training, you will literally be making an investment in your future. Ready to learn more about what it takes to become a dental assistant? We’re here to help. Please contact us today for assistance and additional information. Although countless Americans dread going to the dentist, that doesn’t mean you shouldn’t consider a career in the dental field. In fact, you could be the reason why a patient ends up having a great experience when getting their teeth cleaned or a cavity filled. Best of all, you don’t necessarily have to attend dental college for many years before breaking into the field. If this appeals to you, you might want to consider practical dental assistant training. But what exactly is involved in becoming a dental assistant? Do you have what it takes? We’ll go over some practical information pertaining to future dental assistants in today’s post to give you a good working knowledge of what might be required of you. Some people assume that dental assistants merely provide help to the dentist or other staff members. While that’s technically part of this role, there are a lot of important tasks for which dental assistants are responsible. Those may include the sterilization of equipment, the processing of X-rays, the performance of lab testing, the scheduling of appointments, the preparation of work areas, the record-keeping of treatments, the education of patients, and the processing of bills and payments. Essentially, you may be asked to do anything from front office obligations to providing physical help to the dentist in the examination room. It means you’ll need to have a firm grasp on a lot of different areas of operations and that you won’t ever be bored with a mundane schedule. Because the duties of a dental assistant are so varied, you’ll do well if you are well-rounded with a keen interest in learning about several different areas. You’ll also need to be detail-oriented, as you’ll need to understand complex procedures and address the needs of both patients and dentists. You’ll definitely need organizational skills as well, since you’ll be juggling a lot of different tasks and will need to keep your obligations in check. Additionally, you’ll need to be socially gifted and committed to providing a high level of service. Interacting with all kinds of people on a constant basis will require some stellar interpersonal skills. You’ll need to be friendly, communicative, patient, and understanding to be successful in your role. If you want to pursue employment at a dental practice as a dental assistant, you will need to complete some formal education. Attending dental college doesn’t mean you’ll spend years as a student, however. There are plenty of hands-on dental training programs that will provide you with the skills and knowledge you need. Some states will require you to complete a specific type of program at an accredited dental college, while others necessitate on-the-job training only. It’s important to keep in mind, however, that even if your state doesn’t require degree completion, it may be within your best interests. Approximately 89% of Dental Assisting National Board Certificants report high levels of job satisfaction, and having this type of certification may make it easier to find employment and feel confident in your role. It’s important to conduct thorough research to assess what’s required and what will benefit you in the long run. Ready to Start Your Journey in Dental School? We’re here to help you get started. For more information on our dental college and the programs we offer, please contact us today. Everyone wants a job that gives them satisfaction and adds to their lives, rather than a job that detracts from their happiness. Oftentimes, you don’t know if that will be true for any given position until you’ve worked in it for a significant amount of time. If you’re considering starting dental assistant training courses, which can give you real-world experience through dental school clinics and hands-on dental training, you should know the advantages you’ll see once the training is complete. Unlike those who work in boring desk jobs and do the same menial tasks every day, dental assistants are always meeting new people and performing new responsibilities. As a dental assistant, you will see new patients every day. By helping these different people day in and day out, you won’t have two days that are exactly alike. Each day, you will meet new people and help them meet their health goals by determining their unique dental needs. A great benefit of being a dental assistant is that you likely won’t have to work on the weekends or at nights. You will work when the dentist office is open, which is typically during regular business hours on the weekdays. For working parents, this type of schedule is very important. This will give you the time off that you need to spend time with and take care of your family. It will also offer a predictable schedule from one day to the next. With this predictability, you’ll be better ready for the hectic nature of the rest of your life. You deserve to get the proper compensation for the work that you do, and dental assistants typically do. In Arizona in 2017, the mean annual wage of dental assistants was $39,580, according to a survey from the Occupational Employment Statistics program. Of course, the exact pay will vary depending on where you work. Many places of employment also offer benefits such as paid vacation, paid sick leave, 401(k), and paid holidays to dental assistants. By simply attending dental assistant school, which is full of practical training and dental school clinics, you can find the perfect balance between a career you enjoy and one that gives you the pay and schedule you need. Dive into the world of dental assistants today and find the job that will finally give you professional satisfaction.